Superheroes have fully taken over my house! My son is all about the superheroes in movies we watch. He has toys, towels, clothing, shoes, the list goes on of all the hero themed items we own. I must admit that I love every moment of it! 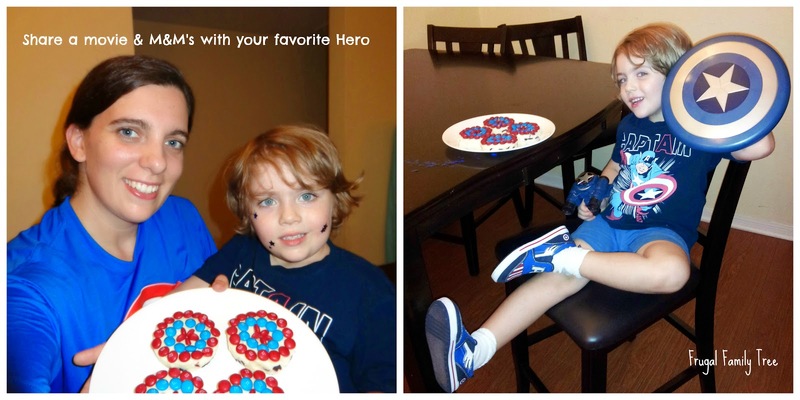 I am a super hero fan Mom. My favorite is to sit down and watch a movie with him while eating movie snacks. I have let him watch a few of the older marvel movies and now all the cool ones coming out those as well. We love Captain America with his cool outfit and save the day hero attitude. We are looking forward to watching on DVD Captain America: The Winter Soldier while we eat one of our top favorite movie snack M&M’s®. My son has been asking for a Captain America shield to go with his other Captain America toys so we decided to head to Walmart to check out the toys while we shopped for dessert. I have been waiting all summer for September to arrive so I can make my favorite dessert ever, fudge! I am making a "winter" theme fudge to celebrate Captain America 2 The Winter Soldier available now on Blu-ray and DVD. 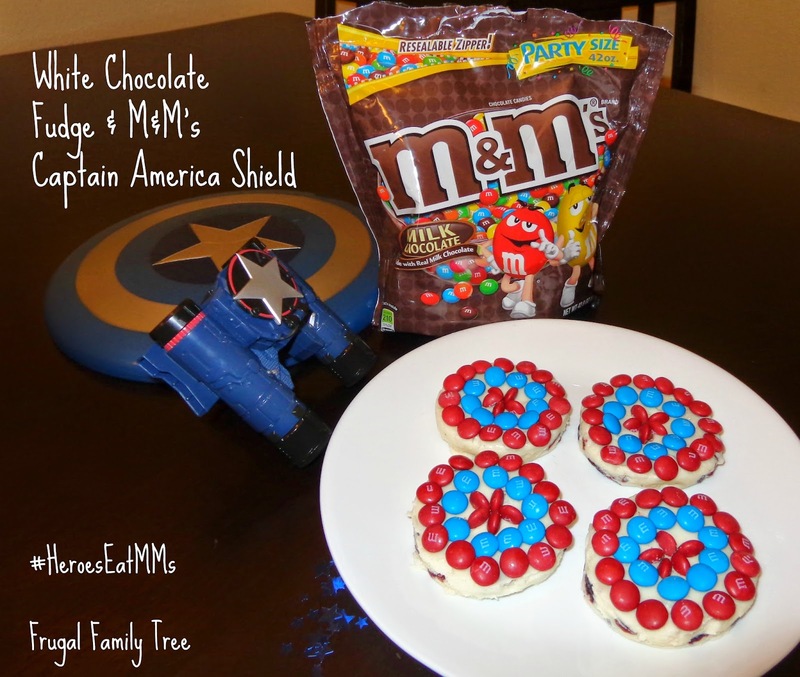 To keep in theme with my son getting a shield toy to complete his hero look I plan to make the white chocolate fudge shaped into mini shields and decorated with M&M’s® to look like the Captain America pattern. Of course the Mom in me wanted to add a bit of a healthy kick to a sweet treat so I bought dried blueberries and dried cranberries to add to the red and blue theme of our dessert. 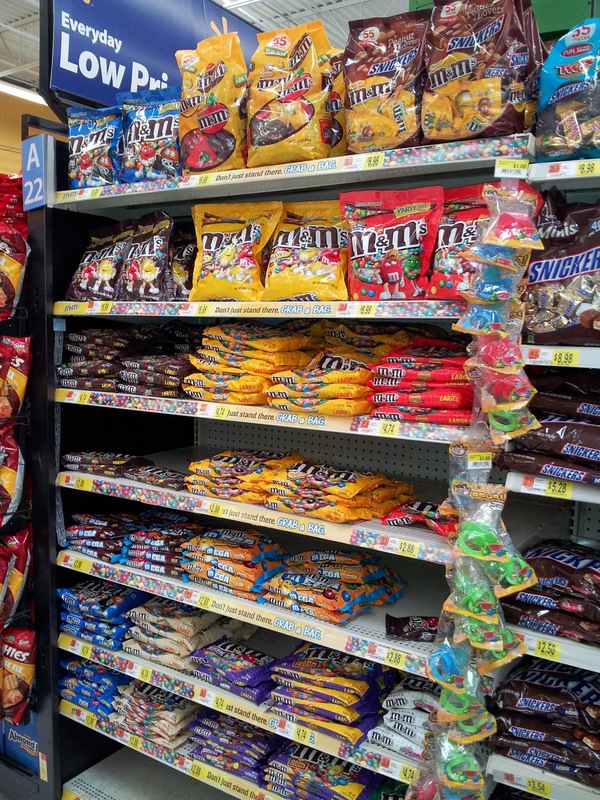 We found so many M&M’s® it was hard to decide which ones to get. There are so many varieties they have their own shelf! 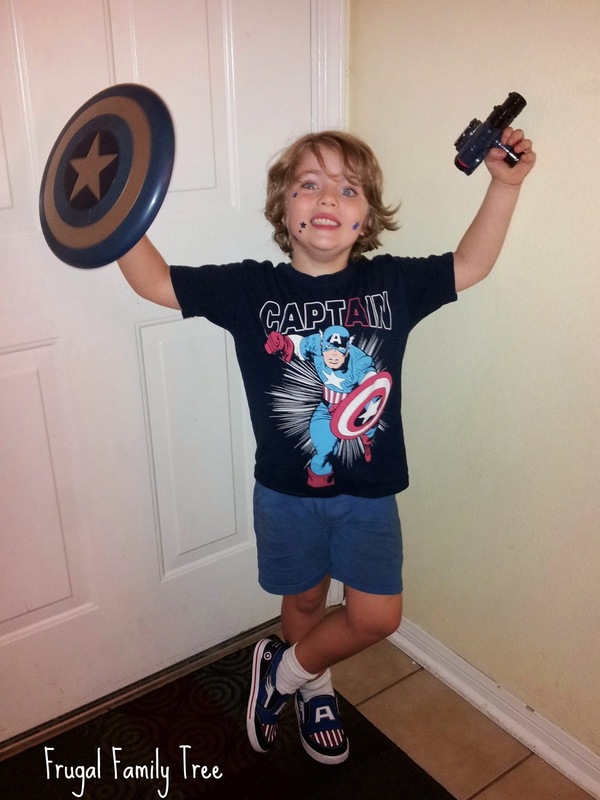 I had to get myself a Captain America shirt to match my son of course! I am excited to be making the first official batch of fudge for the season. I enjoy making themed fudge to celebrate fun things in life. Fudge is a tradition in my family that my Mom started. Anytime I make fudge I always try to make it just like hers in the flavors and texture. Good fudge is amazingly delicious and you only need a small amount to enjoy it. The perfect indulgence for a movie night at home. Line rectangular pan with foil, with ends of foil extending over sides. Bring sugar, butter and evaporated milk to full rolling boil in 3-qt. saucepan on medium heat, stirring constantly. Cook 4 min. stirring constantly. Remove from heat. Add white chocolate chips and marshmallow creme, stir until melted. Add dried cranberries, dried blueberries and vanilla; mix well. Pour mixture into pan evenly coating the bottom of pan. Let fudge cool completely before cutting into circles with cookie cutter. Organize the party size M&M’s® to separate the red and blue M&M’s® from the other colors. 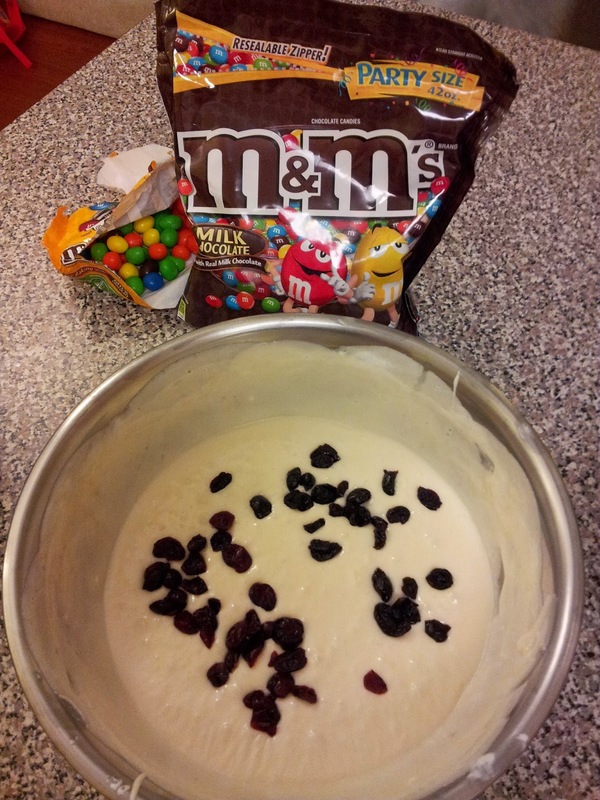 Arrange red and blue M&M’s® in circle pattern. Cut red M&M’s® in half to make star shape in middle of shield. 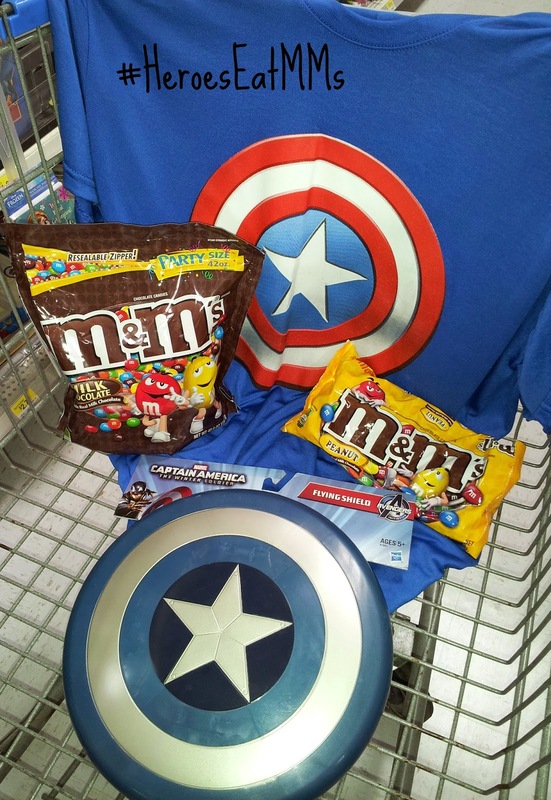 You can use a coupon to save $5 when you buy Captain America: The Winter Soldier on DVD and 2 bags of M&M’s® Candies. 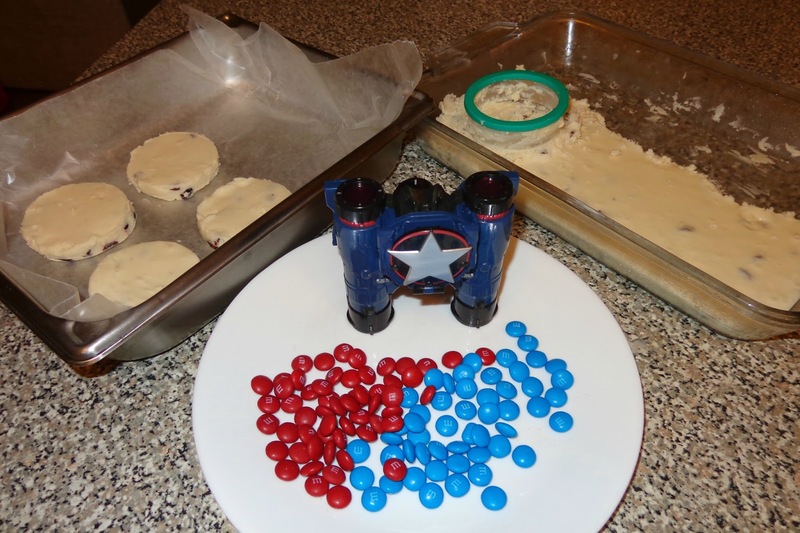 Check out what other families are creating with M&M’s® and Captain America: The Winter Soldier at the Heroes Eat M&M's site. Take the Quiz there to see which M&M’s® you are. I was Yellow, what are you?